When Ellie Golden meets Harry Dixon, she can’t help but feel she recognises him from somewhere. 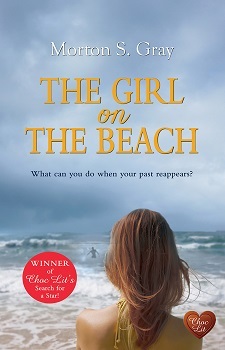 But when she finally realises who he is, she can’t believe it because the man she met on the beach all those years before wasn’t called Harry Dixon. And, what’s more, that man is dead. After a never-ending lunch with John Williams and the school governors, Ellie and Harry sat next to each other on the stage in front of all of the pupils of the school. Ellie tried to spot her son in the faces before her. Harry’s leg brushed against her skirt. Her awareness of him was so heightened that she could feel the warmth of him, smell his subtle aftershave and settled her own breathing to the rhythm of his. She tried to look at him without turning her head and noticed he had a slightly deformed ear. It looked like a rugby injury. He reached out to scratch his knee and she saw a strange mark above his wrist. It covered a section of his lower forearm. She stiffened in shock and examined Harry more closely. No, it was impossible. It couldn’t be him. He met her gaze and she was sure she could sense alarm in his expression. Her heart began to drum. She looked away, stared unseeing at her clipboard, tried to focus on her score sheet, but it was next to impossible given the turmoil inside her. John Williams stood and welcomed Harry and Ellie as the art competition judges, talked about Ellie’s gallery in the centre of town and her work with the school and introduced Harry as his successor from September. The young people sat silently in rows in front of her, oblivious to her confusion. In a few moments, she would be asked to announce the winners of the competition. A scream bubbled inside of her and she fought to control it. Would she be able to speak, now that she knew for certain? His name wasn’t Harry Dixon. It was Ben Rivers and Ben Rivers was dead. 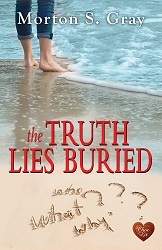 Morton’s new book in the Borteen Secret Series, ‘The Truth Lies Buried’ will also be released in May.